When I was three or four years old, I had an entire Curious George book memorized. I used to sit down with the book, turn the pages, and recite the entire thing while my mom and dad listened (and chuckled to themselves about how adorable I was, I’m sure). This is not a unique story – I have heard of many children memorizing the words of their favorite book and pretending to be able to read it themselves. As adults, we smile and chuckle at the fact that these little children, who technically can’t read, like to pretend that they can. However, now when I hear those stories from the perspective of a parent, I also think about how the parents of those kids must be doing something right! If a child who can’t read has an entire storybook memorized, it must be because someone has read it to them, and read it to them many times. Those kids may not be able to actually read the words on the page, but they already have a head start with reading skills because someone is reading aloud to them. I’m sure there are experts who could tell us about all the intricacies of the benefits of parents reading aloud to their kids, but these are few of the reasons that came to my mind. Reading aloud helps with language development. This is true no matter what age your children are – reading aloud to them (especially at a grade level or two above their current grade) will help them develop their vocabulary, learn the rules of proper grammar, and pick up on the rhythms of the English language. Reading aloud instills a love for books. I think the key to getting younger kids to like books is to help them form positive memories around reading. Reading to your kids is an excellent way to do that. Most young children soak up any one-on-one time they can get with mom and dad, including time spent reading together. If you want to make your reading time extra fun, let them have a special snack while you read, read in the dark with a flashlight, or build a fort out of blankets and pillows for a unique reading nook. For older kids, choose a book with a type of story that they are interested in – if they can get excited about the story, they will come to realize that there are more books, with more exciting stories, just waiting to be read. Reading aloud is good for attention span development. The length of a person’s attention span can have a big impact on how well they do in school and in a work environment. Reading aloud to your child is good practice for them at listening actively, and that is also important for developing a longer attention span. The more often you can read books together, the more practice they will get. Asking them questions about the book you are reading is another strategy to get them more involved in the story and prompt them to pay attention to what is being read. Reading aloud is great time to cuddle with your kids. It seems to me that the older my kids get, the less they want to just sit with me – and I miss it. However, they will sit still for a good chunk of time when I’m reading to them. Reading is my secret strategy for getting my kids to snuggle with me when it seems they are growing up too fast. Reading books together is good for them in so many ways, and I get my cuddle time in – it’s a win win! Reading aloud can help them develop skills for reading God’s Word. The biggest reason why I want to spend the time reading to my kids is that I want to help them create the habit of reading God’s word. When we brought my first son home from the hospital, my husband suggested we read the Bible to him before he went to sleep for the night, and we have kept that habit alive ever since. I love reading to them directly from the Bible, but Bible storybooks with colorful pictures are also a great option for keeping younger ones interested. 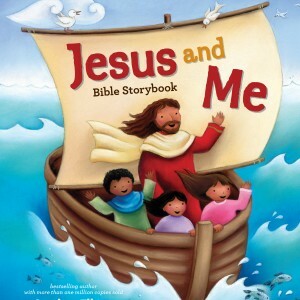 One of our favorite Bible storybooks of all time is the Jesus and Me Bible Storybook – I love it because every story is about Jesus, and each story includes a practical application that is easy for kids to understand. My hope is that my kids will remember that we read the Bible together daily and choose to make it a habit when they are on their own. I love that we can close the day by focusing on eternal things, but even when we spend time reading books that are not Bible stories, my kids are developing skills that will help them appreciate and understand God’s Word better. That is an excellent reason all by itself to read to my kids regularly. 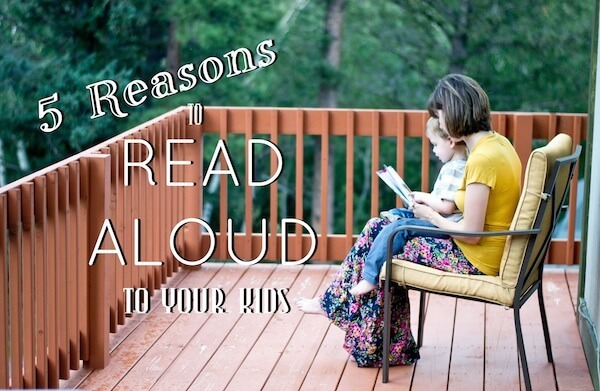 Why do you love reading aloud to your kids? Why do you think your kids love it when you read to them? Callie Martinez: Callie is a wife, a mother, a part-time dental hygienist, and a fan of coffee. She has been writing regularly on her blog, Through Clouded Glass, since 2008, and she serves on the publicity team for her local MOPS group. When she is not taking care of her three children (all under four years old), she enjoys spending time with her husband, reading, and working on her endless list of DIY and sewing projects. She is passionate about her faith in Jesus Christ, her family, and encouraging others to keep an eternal perspective through the day-to-day. 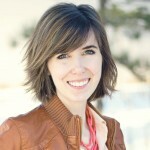 This entry was posted in Blog by Callie Nicole. Bookmark the permalink.